Welcome to Lakeside Memorial Park. This beautiful Waupaca cemetery overlooks Shadow Lake, nestled in the woods at the junction of High Street and Shadow Road at the south end of town. For more information contact the Cemetery Sexton-Sheldon Goggins. LOT PURCHASE. Arrangements for purchasing of lots must be made at 407 School St. Waupaca WI, 54981. Please call for an appointment with the Sexton. RESALE OF LOTS PROHIBITED. Any person owning a lot in the Cemetery shall, before disposing, selling or giving same away (other than to a family member), give the City first opportunity to purchase said lot or lots at the original price. This would be effective for lots purchased after March 1st of 2016. PERPETUAL CARE AND LAND ACQUISITION. Perpetual care and land acquisition is mandatory and shall be included in the price of the lot. Perpetual care does not include maintenance or repair of any gravestones or monumental structures erected upon lots or graves nor the planting of flowers or ornamental plants. FINAL DISPOSITION NOTICE AND PAYMENT. No burial will be made without a proper Final Disposition Notice being filed with the Cemetery staff. Payment must be made in full prior to burial unless prior approval by Cemetery staff is obtained. NOTICE TO THE CEMETERY STAFF. The Cemetery staff will be notified at least forty-eight (48) hours prior to any burial or burial rites. Contact Cemetery staff to discuss possible exceptions. INTERMENTS RESTRICTED. All interments on lots shall be restricted to members of the family. If an order is given for the interment of a person not a member of the immediate family, permission in writing from the lot owner must be filed with Cemetery staff. INTERMENT OF TWO BODIES IN ONE GRAVE. The interment of two bodies in one grave (that is one above the other) will not be permitted, except in case of mother and infant child or twin infants, or two infants buried at the same time. One exception will be made. One full burial and one cremation will be allowed. Four cremated remains may be buried on one lot. GRAVE DIGGING. All grave preparation will be made by the Cemetery staff and all costs of preparation will be charged to lot owner or person ordering the grave. WINTER BURIALS. Winter burials are allowed with the exception of certain lots located on the hillside where ice and snow make for unsafe working conditions. The total cost of burial will be increased to $800 per burial. Infants and cremations will be increased to $500. Winter will be defined as any time of year when snow removal or ground thawing is required. HEADSTONES, MARKERS AND MONUMENTS. Only one family monument shall be permitted on a family lot. All exceptions must be approved by the cemetery staff. No monuments or markers are to be placed at the foot of the grave, except government and family markers (said markers to be flush to ground). The Cemetery staff must be notified eight (8) working hours prior to placement of any headstone, marker or monument. Incorrectly placed headstones, markers or monuments are the responsibility of the owner or person ordering the headstone, marker or monument. MAUSOLEUMS, VAULTS OR TOMBS. Plans for mausoleums, vaults, and tombs must be submitted to the cemetery staff and have approval before they are constructed. Exceptions will be made in cases of contagious disease or for some other reason where immediate burial may be urgent. FLAGS AND FLAG HOLDERS. Flags and flag holders may be placed next to the headstones, monuments or markers for Memorial Day by individuals or organizations. Said flags and flag holders placed by Veterans shall be maintained and replaced by the organization that places them. SHRUBBERY AND EVERGREENS. Planting of any shrubbery and evergreens will not be permitted. Tree planting must be approved by cemetery staff. UNSIGHTLY OBJECTS. Unsightly bouquets, plants, or decorations will be removed at the discretion of the Cemetery staff. CLEAN UP PERIODS. The cemetery clean up periods will be between October 15th and December 1st, and between April 1st and May 1st of each year. Any and all decorations, containers and other adornments remaining on grave sites or lots during clean up periods will be considered abandoned and will be disposed of at the discretion of the cemetery staff. RESTRICTED ACTIVITIES. No person shall willfully destroy, mutilate, injure or remove any tomb, monument, gravestone, building or other structure placed in the cemetery, or any fence, railing or other work for the protection or ornamentation thereof, or shall willfully destroy or injure any tree, shrub or plant within the limits of the cemetery. Picking flowers, walking, driving or running over lots and graves; are strictly prohibited. No person shall use or possess any glass container in the cemetery. RESPONSIBILITY OF CITY AND CEMETERY LIMITED. The City of Waupaca, its employees and its contractors will take every reasonable precaution to protect all property in the cemetery from loss or damage. However, it distinctly disclaims all responsibility for loss or damage from causes beyond its reasonable control and especially from the acts of thieves, vandals, rioters and malicious mischief makers and from all acts of providence including wind, tornadoes, cyclones, hail, snow and frost, whether the damage is indirect or proximate. INFANTS. Stillborn and up to age 2 (two). CEMETERY HOURS. 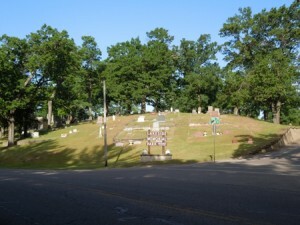 The Lakeside Memorial Cemetery shall be open to the public from 7:00am until dusk. RESERVATION. The City of Waupaca reserves the right to add to, modify, or amend these policies, as it deems fit.